Today is the astronomical First Day of Spring when the sun crosses the celestial equator at 5:58pm EDT. But is it Spring yet? It depends on where you live. 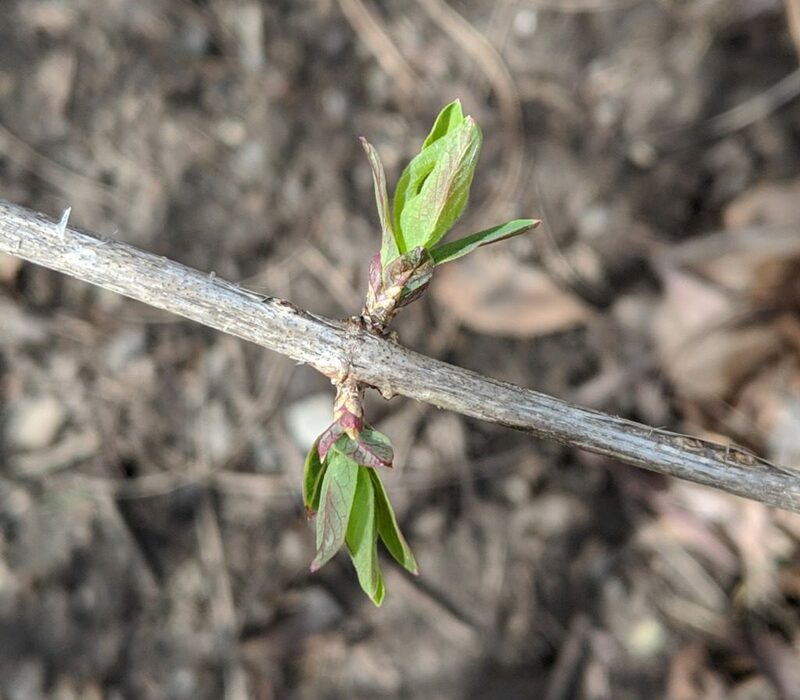 The USA National Phenology Network tracks spring across the continental U.S. based on first leaf out conditions for honeysuckle (Lonerica) and first bloom conditions for lilacs (Syringa vulgaris). The plants are non-native, and honeysuckle is invasive, but they make good indicators because they’re early responders to springtime warmth. 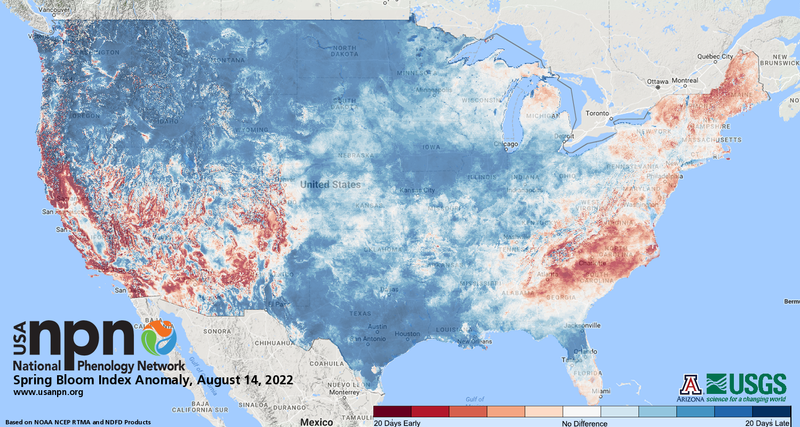 Monday’s animated Spring Leaf Index (18 March 2019) shows that leaf out was ahead of schedule through late February but fell behind in northern Virginia, the southern Great Plains, and the Pacific Northwest when cold weather hit in early March. According to the model, spring hasn’t reached Pittsburgh yet but I’m conducting my own Leaf Out Survey in my neighborhood. I took the honeysuckle photos below on 11 March and 16 March 2019. Both were cold days after a spurt of exceptionally warm weather. The tiny leaves on the right show the effect of 77 degrees F on March 14! Do you have leaves in your neighborhood yet? Is spring on time? 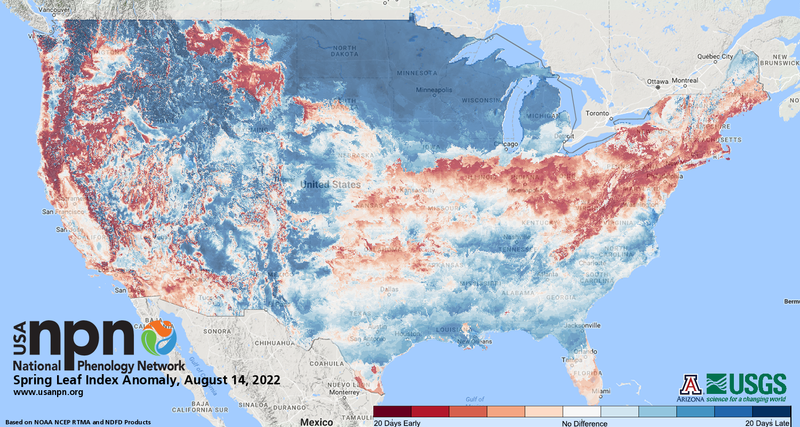 Follow spring’s progress at the USA National Phenology Network. For blooming times click here for the latest Spring Bloom map.